About Clarke Roller & Rubber Ltd. Since 1960 our primary goal has been to manufacture superior rubber and polyurethane roll coverings. Our strong, unwavering commitment to quality and dependability has been with us from our early beginnings. Today this commitment is stronger than ever. Quality combined with our innovative use of technology and the latest in elastomeric and polyurethane materials has allowed Clarke Roller to produce a wide range of roll covers that are so necessary in today’s highly demanding industrial environment. 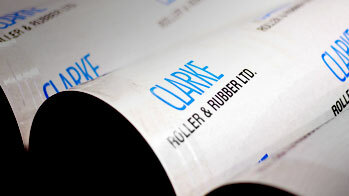 Clarke Rubber & Roller Ltd. manufactures superior rubber and polyurethane roll coverings. 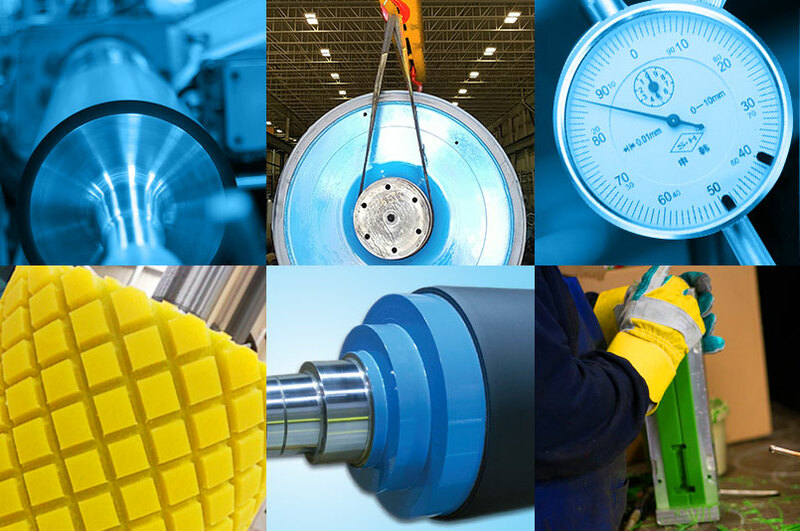 Quality combined with our innovative use of technology and the latest in elastomeric and polyurethane materials has allowed Clarke Roller & Rubber to produce a wide range of superior roller covers. Our precision roller coatings are fabricated with a variety of specially formulated compounds for unlimited applications. Clarke currently supplies products worldwide and continues to expand into the global market. Markets we serve include: Pulp & Paper, Tissue, Steel & Coil, Corrugated, Plastics, Film, Food Processing, Glass, Textile, Wood + many more. 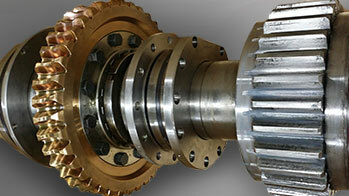 Clarke Roller and Rubber has been continuously involved in product development and innovation. The technical expertise and the extensive understanding of roll engineering remains one of our distinguishing characteristics. We offer a wide array of roll engineering capabilities for numerous industries and applications, resulting in a turn-key support system. Clarke Roller & Rubber provides engineering and technical support as a part of our value proposition. We provide complete roll core designs, roll modification analysis, engineering drawings and technical assistance for end-use applications and covering needs. Full engineering reports can be provided to assist in design decisions. 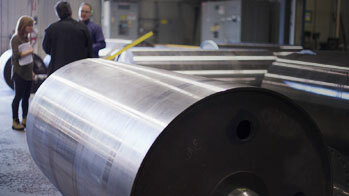 Our engineering capabilities are broad and cover many industries. By far the best team I've ever worked with. They truly understand metal roll engineering. I would highly recommend them as your roll cover supplier, you simply just won't find any better! Clarke has always been so helpful in answering my technical questions. Their support is out of this world! Clarke's technical expertise is next to none. Their design team suggested roll modifications that made the end product twice as good as I could have ever envisioned, they knocked my concept out of the ballpark.